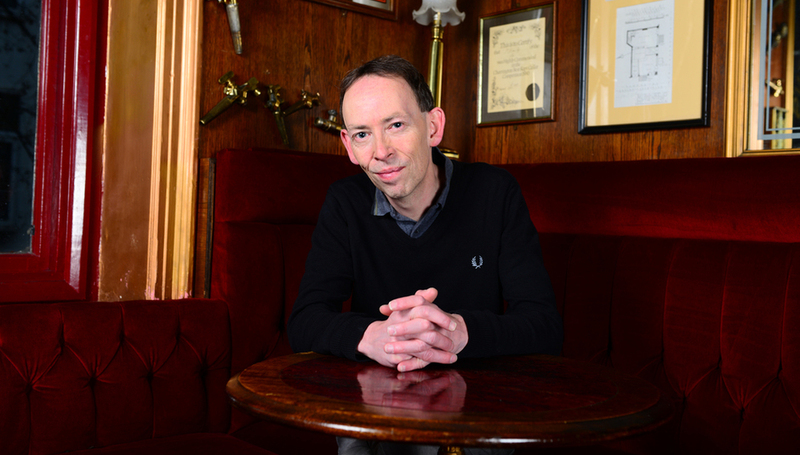 With over 30 years in the music industry as a journalist, broadcaster and DJ, Steve Lamacq is quite rightly regarded as something of an institution. Championing artists from all corners of the globe since starting as a writer for the NME in 1987, he's been responsible for breaking an astounding number of acts both through the written word and radio where his Evening Session and In New Music We Trust shows became flagships of Radio One's late night schedule. Currently presenting the drivetime slot between 4 and 7pm on BBC 6Music as well as hosting a weekly one hour show 6Music Recommends. His passion and enthusiasm for music shows no signs of diminishing while his 2000 publication 'Going Deaf For A Living' is a must read, documenting the first decade and a half of Lamacq's career in the media. Earlier this month, Lamacq undertook a short interactive tour of the UK and DiS caught up with him to talk about the past, present and future of the media and its influence on music. DiS: Your recent tour was quite unique in that as well as sharing stories of your own, you also asked members of the audience to share theirs too. What inspired you to include this type of interaction? Is it something you’ll be doing more of in the future? Steve Lamacq: I was going to put out a second volume of stories but I thought that would be pretty ambitious. So in the absence of there being another book, I decided to go down the old school live route and just tell them to people. I think there’s a lot that we share as music fans as well. So although there’s a lot of people who are interested in what I do because I get to meet bands and stuff, there are all sorts of experiences people have to share too so it made sense to put it all into one show and take it on tour. It’s probably fair to say you’re as popular now as you’ve ever been. I remember seeing your DJ set at Rockaway Beach in January and it was arguably the busiest show of the entire weekend. What do you think it is that draws people into what you have to say and play? It’s amazing really because I stopped tour DJing for ages thinking no one would really be interested. I always find those things incredibly nerve-wracking but that Rockaway Beach set was particularly fine. I’m really chuffed people enjoyed it. I hope I’ve not blotted my copybook too many times! I’ve just carried on doing what I’ve always tried to do, which is push bands that are on the periphery of pop music slightly more into the mainstream. Or play records by underdog bands that may not otherwise have a chance. Good or bad whether people like them or not, I think people still trust me if I’m banging on about something. I was talking to someone the other day about how things have really changed over the last twenty years. I think we’ve gone past the point where people take notice of what’s recommended to them. I still think a review is far better than what we’ve ended up with these past 15-20 years. Which is list culture saying things like “10 bands you must hear today” or “20 bands you need to hear before midnight”. “Here’s the best bands this month.” That’s just lazy. That’s not doing your work properly. Anyone can do that; it’s rubbish. If people had time to listen to 50 bands they’d listen to them. Just tell us about the one you think is really good! I often go on that rant, but I guess the short answer is I’m always amazed and chuffed there’s still an audience interested in what I have to say. Hopefully, this tour isn’t just about me retelling some of my rock and roll stories from the past 30 years. I also want to talk about why I’m still here, still doing what I’ve always done and what made me fall in love with music in the first place. It’s insanity, isn’t it? It’s madness so basically, this show is about how I deal with it. Right from how you fall in love with your first record and the band but then the band go bad yet you still feel obliged to support them even after they’ve gone down the tubes. Or the first time a band you really like split up thus pulling the rug from under you, taking that tightrope you were walking and cutting it. All these things are incredibly important and quite formative in our lives as pop music fans. This idea of possession is also really important, and I tell all the embarrassing stories about myself. If you think you’ve done something really embarrassing, I will confess to something far, far worse! Watching a band like Catfish & The Bottlemen get ridiculously big over the course of four tours for example. I remember seeing them at the Academy in Leicester and literally minutes before they came onstage this really tall bloke came and stood directly in front of me, and I thought to myself what gives you the right to stand there when I’ve probably seen them 10 times more than you have? I should be allowed to just stand in front of you! Now that’s insane, isn’t it?! Obviously, we’ve both paid the same amount of money for a ticket, so it seems a bit crazy but this is the warped state of mind you end up in when you’ve fallen in love with music. This is part of that madness, so in effect, this show is about that. How we identify with friends through music yet at the same are still very individual. Take festivals for example. You and five friends could go to Glastonbury, arrive at the same time, see exactly the same sets yet still come away with completely versions of what Glastonbury was. Pretty much every worthwhile guitar band of the past 30 years has appeared on your show at some point or another, but has there ever been a time where you’ve championed someone early on their career only to see them go in a completely different direction to what you’d hoped they would? There’s always going to be bands that take a slight left turn! It’s hard talking about something like this. I guess Arcade Fire would be one example. I remember bringing back their first record after we’d done an Evening Session in the States and at the time thinking they were going to be the band to deliver us from a lot of musical evils. Alt-rock problems at the time. Their first record is really amazing so for me I was a little disappointed to see Arcade Fire choose a different route to the one I imagined they’d take. It’s not that they’re letting anyone down really, it’s that they’re doing something very different. I’m not a huge fan of the current Arcade Fire record but the first one was brilliant. I read a review of the recent Jack White album on Pitchfork, which gave it an absolute kicking, which I think after three or four listens starts to make sense. But it wasn’t the record that particular writer wanted him to make, and there lies the problem. I did Coldplay all the way through from very early on and there was a point to them at the time because they weren’t Limp Bizkit. I know a lot of people probably don’t see it that way now, but at the time they were an interesting band to have while we were being overrun by all these rock-rap crossover bands. They were just four unfashionable kids playing this different kind of guitar music that was necessary back then. I suppose when some bands get to a certain level they become too big for my show anyway, and I don’t mean that in a disparaging or snobbish way. By the time you’ve delivered them to a certain level – Catfish at Wembley for example, who I’d like to see there by the way – it just feels different. That’s why I prefer the intimacy of smaller gigs because you feel more involved. The queues for the bar are smaller. I guess it comes down to possession once more. You are part of the gig. So when they outgrow those venues it feels like you’re delivering them off to pastures new then off we go again to the Lexington or somewhere. You’ve been involved in broadcasting and journalism for the best part of three decades. Do you think radio and the media has the same level of influence now compared to what it did when you first started? It’s hard to tell. I can only really speak from where I am at 6Music. I guess that’s the reason people still come up and talk to me, so I do believe 6Music still sells records. It might not sell a huge amount of records but I do believe it can put you on the way towards selling a lot of records. I think we’ve done a lot for a band like Public Service Broadcasting in recent years. I’m particularly proud of watching the rise of Idles as well. I went to their recent Village Underground gig and someone came up to me and said thanks for playing them on my show. It’s happened a few times recently, which tells me radio does still work. It’s really warming to make that old school connection of finding a band you like, playing them on the radio then having people come up to you afterwards, so I think it still works. It’s interesting you mention Idles because I remember you playing ‘Well Done’ during that set at Rockaway Beach to a packed dancefloor in between the likes of Arctic Monkeys and The Charlatans. Why do you think the landscape’s changed so much for guitar bands trying to break through in the UK, because there does seem to be a bit of a stigma? How do you think guitar bands can avoid being typecast? It’s difficult, isn’t it? Why do I think it’s like this? I don’t know, to be honest. I don’t know if we’re going through one of those eras where part of the media considers four-piece guitar bands to be trad rock and therefore less than exciting. Or doesn’t fulfil some sort of artistic criteria where music’s got to move forwards. I don’t know what it is. Whether it’s just people who don’t feel it, relate to it or get it. It’s also interesting watching how guitar bands playing gigs north of Birmingham are doing much better. They’re playing to audiences who really don’t care if its hip or not. There are always new bands emerging north of Watford. Do you think there is a musical north/south divide in the UK? I really think there is. If you take a band like The Courteeners or The Sherlocks, for example, people seem to be more receptive up north. If it comes down to anything I think it’s just some people are scared of a chorus! Scared of something which to them, possibly has its roots back in Britpop or Manchester. I don’t know why that is but it certainly feels like that a little bit. Why do you think Britpop has become something of a dirty word now that’s not looked upon very favourably by a lot of people? When it first started it gave a lot of guitar bands a platform to mainstream exposure they’d never received previously. People like Blur, Suede and Pulp for example. Surely that’s got to be a good thing? It was a great time. I think one of the reasons is people don’t like it when their favourite bands go on to have massive success. Some of those bands got so much bigger than anyone could have possibly predicted. I think if Britpop had ended around 1995 that era would be looked back on far more favourably. Obviously, you wouldn’t have had Verve’s amazing comeback so you’d allow certain exceptions, but if you just focused on records released between 1993 and early ’95, people would be saying that was an amazing scene. But unlike punk, which had been and gone in eighteen months, Britpop just struggled on with a fist load of money they made and labels spending it willy-nilly on all sorts of horrible dross. Then, unfortunately, Britpop blotted its copybook somewhat. There were a lot of bands signed that weren’t very good. Some were alright but I think once it became too big it started to lack focus. It became a cliché, which sadly left people with a pungent taste in their mouths of what it was and what it achieved. It depends what they sound like really. Target certain places. For example, it’s cheaper to live and play in places outside of London. BlackWaters, who I quite like, have moved from Guildford to Sheffield so they can concentrate on the band rather than have to get day jobs. I think that’s a really interesting commitment from a band these days. Tell people about yourselves before they get to hear about you elsewhere. There’s a part of the live show where I play three demos then explain to the audience what it was and how they caught my attention. It’s really important to let people know who you are and what you want to be. Talk about the band as well. I always ask bands if they sit down in the rehearsal room or go to the pub afterwards and talk about what your ambitions are or what your band stands for. Be honest with each other because I think that’s always important. If you’re going to make a demo don’t do it too quickly. Have a bit of patience! You can always tell if a band hasn’t been going that long. It’s like when you ask a band how long they’ve been going, and one of them will say, “A year.” So my reply is usually how much better will you be in six months, which they usually respond with, “We’ll be loads better in six months.” Right, well send me the demo when you’re loads better! First impressions last, yet so many bands seem intent on uploading their first recordings onto YouTube, Bandcamp or Soundcloud instead of waiting until they’re good enough for the public domain and as a result do themselves more damage than good. Also, if I was in a band I’d play a bit first. If you can be in a band for two years playing gigs and getting better without anyone taking notice of you, the impact you’ll make by arriving on the scene when you’re actually good will grab people’s attention far more than if you arrive on the scene and a year later you’re better. Obviously, with the Internet bands are being discovered and written about far more quickly than they used to be and it’s been great for some scenes. For example, I don’t think we’d have had that whole Welsh music scene if they’d been written about from the outset. Instead, it’s been allowed to develop and grow at its own pace without any outside interference. You’ve already mentioned Idles but are there any other new bands you’re particularly fond of you’d recommend Drowned In Sound and its readers should check out? I’m always loath to pick a band unless I think they’ll do alright. We had The Blinders in session last week who I think will be popular, although I don’t know what the glass ceiling is for them. They’ve done a great job in building up a following and if you’re a certain type of band, that’s the way to do it. Make sure you have Southampton Joiners on speed dial and do things that way! I really like a girl called Beckie Margaret. She’s a solo singer from Southend who’s really good. I quite like that band Giant Party but I’m not sure where they might go next? If you could pick one artist you’ve discovered who’ve gone onto bigger and better things which one are you most proud of and why? I guess – because it’s quite a good story – to a certain extent, Blur. Which is weird because I drank in the same pubs as Blur when we all lived in Colchester but didn’t really know them. I was working for the NME at the time and there was a guy who worked in the advertising department for the Melody Maker. He was also in a band, and he came downstairs to see us one day even though we barely crossed the lines between the NME and the Melody Maker. It turned out his band had played a gig the night before at the George Robey in Finsbury Park and he said “We played with this band last night. I didn’t reckon much to them but you’ll probably like them!” so I asked someone at the Robey if they had a contact for this band, Seymour, as they were called back then, and they gave me a phone number for their manager. So their manager sent me a demo with two songs on it, one of which was ‘She’s So High’, so I went to see Seymour at The Cricketer’s in Kennington. Mainly because it was on the bus route on the way back to Brixton where I was living at the time, and they were terrific. Their sound was more ‘Song 2’ or ‘Popscene’ back then. They weren’t particularly baggy in any way, which is what their first album became. They just careered around the stage. Damon kept bumping into Graham. Graham looked really annoyed that he’d nearly been bumped over. Alex had a fag in his mouth, of course he did! They really delivered and I remember writing them up for the first time. Then for their first ever NME interview we did it back in Colchester in Castle Park where we all used to spend our youth being bored together. Do you think a band like Blur would be able to progress and develop to the same level of success in the current climate as they were allowed to back then? I think they might be able to. The difference is you’re not going to start with a major record deal. It would be more of a gradual evolution these days, similar to what happened with the Arctic Monkeys. They’d have taken those MySpace demos and probably put them out themselves if somebody hadn’t offered them an album deal beforehand. It would have only been a matter of time before a label came along and signed them off the back of those demos, which is exactly what happened. In the old days, it was hard to sustain a lot of bands, particularly through the Britpop era because they’d taken far too much money. They’d taken too hefty an advance and weren’t going fast enough. The American model is something I’ve always been slightly jealous of. Bands hanging around for a while then breaking on album three. My test of A&R is not what the first album sounds like. It’s what the second album sounds like. You want that to be the one. Or worst case scenario someone from that band to go on and have success as a solo artist or with another band afterwards. For more information on Steve Lamacq, please visit his excellent blog Going Deaf For A Living.